Brains Choice by KC Brainsis is a indica dominated cross of a Lambsbread Jamaica 94, Leda Uno 96 and White Widow from Ingemar 96 which was specially designed to satisfy cannabis growers' tastes. 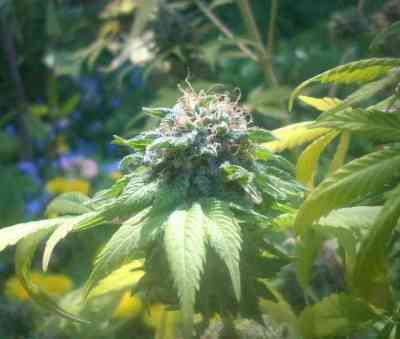 Brains Choice is said to be an easy growing marijuana strain. Her cannabis seeds took over the best characteristics from her consistent parents. They produce strong light green plants which perform well in groups and as individual plants. Their stable genes make them quite resistant to mould, pests and mushroom. These seeds can be easy managed by beginners. The plants of this cannabis can reach up to 2,5 m high with a great yield of 900 gr. per plant when grown outside. If left inside, they remain midsized and won't grow higher than 100 cm, and, yet very productive with 160 gr. per plant. 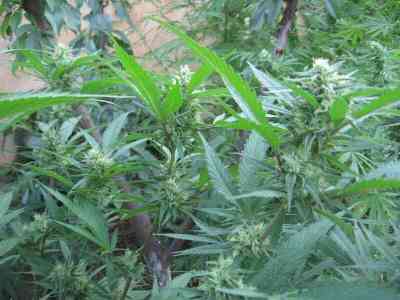 A short flowering period of Brains Choice is one of the characteristics that make her so popular amongst marijuana farmers. It takes only 8-10 weeks during which copious flowers begin turning into sturdy medium sized buds. 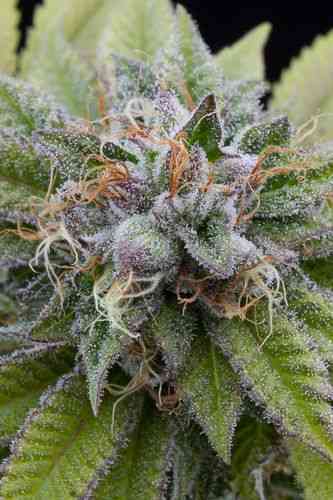 They are going to develop sticky white crystals which give Brains Choice's plants a frosty look. They are said to contain a large amount of THC, some cannabis growers claimed it as high as 20%. She is ready for a harvest at the end of September with a fantastic growth cycle. This marijuana strain is great for a late harvesting. At the middle of a maturing period, Brains Choice's mild sweet and slightly hash aroma is gradually becoming more intense and tempting. Because of her extremely nice smell, these plants are very popular in Amsterdam coffee shops. 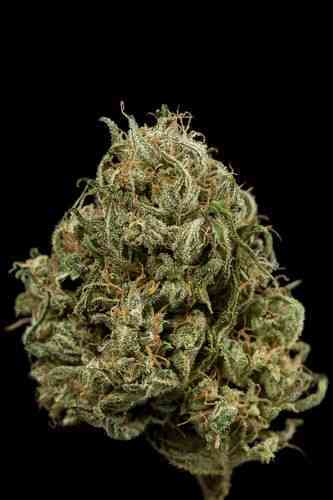 The dried product has long shelf life and will satisfy your taste with really strong, mellow high. She smokes quickly and well, giving you very relaxed high, an unusually clear buzz and a slightly delayed effect with no hangover.